Maintaining a reliable supply chain is a delicate dance. Most manufacturers and suppliers work hard to develop strong relationships, work in partnership and keep their operations in sync. That’s why it’s such an awkward situation when a supplier’s ability to deliver gets out of step. When supplier performance isn’t up to your expectations, it cuts into your bottom line – production levels drop, deliveries are delayed, and customers are disappointed. Obviously, a tough conversation needs to happen. But is your team equipped to identify and articulate the supplier’s issues and develop corrective solutions or timelines? Given the increasing pressures that global suppliers face – labor shortages, volatile transportation costs, tariffs and trade wars, severe weather events, and cyber-security threats, sabotage and terrorism – manufacturers hesitate to take harsh steps or invest in remedies. No one likes to step on a partner’s toes. Even if assistance is welcome and resources are unlimited, how successful will your teams be at determining and correcting the underlying cause of delays or defects, not just treating the symptoms? At c5mi, we take a different approach to evaluating and elevating supply chain performance. We don’t partner with you just to stabilize communication, ensure on-time delivery of quality parts, or provide governing structure – although we certainly do all of that. We don’t focus solely on keeping your plants in operation tomorrow – but you can count on us for that, too. Instead, we embed our industry professionals deep into your supplier’s processes and practices, to uncover the specific issues at the root of the problem. Then we deliver a pointed, detailed assessment that outlines each issue and specifies the necessary adjustments. We start at the source, to give you in-depth analysis of all underlying issues, paired with a targeted action plan that’s ready to execute. We do the heavy lifting, so you can focus on running your operations. With proven processes and seasoned professionals, c5mi has a track record of enormous success in an array of manufacturing supplier settings. Isn’t it time you faced the music? 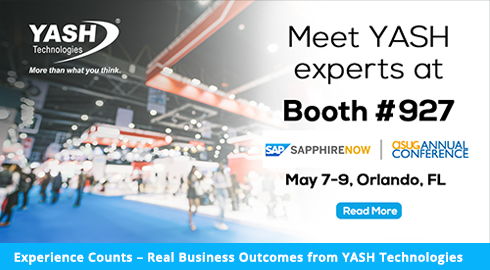 To meet our pros, experience our assessment process, and discover how we can help you, stop by booth #927 at SAPPHIRENOW.